From 4 until 9 May 2019, Dupont Plexi Line will be present at Iffa 2018, the world's leading trade fair and international meeting place for the meat industry. 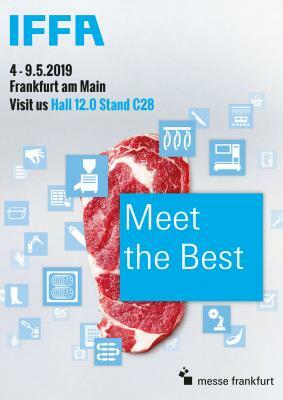 As the sector’s foremost innovation platform, IFFA will once again bring together all players from the industry, retail trade and butcher's trade in Frankfurt am Main. Thanks to its clear focus, the world’s leading trade fair for the sector is unrivalled: everything revolves around the most valuable of all foodstuffs – meat. Dupont Plexi Line is proud to be one of the 1036 exhibitors from 49 countries of Iffa 2019. We will present you our wide range of plexi presentation trays & systems. We are looking forward to meet you at our stand C28 in Hall 12.0. Discover our brand new Dupont Plexi Line catalogue of 2019! Visit us at Gulfhost 2018 in Dubai! Visit us at Iba 2018 in Munich! Discover the brand new catalogue of Dupont Plexi Line! Visit us at Hotelympia 2018 in London! Visit us at the Hotel Show 2017 in Dubai! Summer promotion: 9 + 1 for free on our salad dishes!